BTW what is the average water temp on the Oregon Coast this time of year? It ranges from 5/4 suit, 5/4 suit with 4 mil booties, to 5/4 suit with 4 mil booties and 3 mil gloves, and hood. And plenty of those close-outs! Ok, we always wonder if a 4/3 would do it, but I will make sure to bring a thick suit. How predictable are the swells? I find the Oregon Coast the coldest in the summer. In the winter you expect 48 degree water, but in the summer going from 90 degree air on the beach in to that is an affront. Water temp right now is a balmy 61 degrees and there is a combo of long period SW swell and shorter period WNW swell. There will be strong north winds this afternoon and the kitesurfing will be outstanding today. Planning on logging in multiple hours of wave riding that puts your video to shame. My wave count at the end of the day will be well into the hundreds with tons of bottom turns and lip bashes. I have no desire whats so ever to go to Florida this time of the year for sweltering heat and closed out waves. By the way isn't Duotone some kind of skin creme? The Duotone / Fanatic crew came down at just the right time. We had a nice head high ground swell and 90* weather. 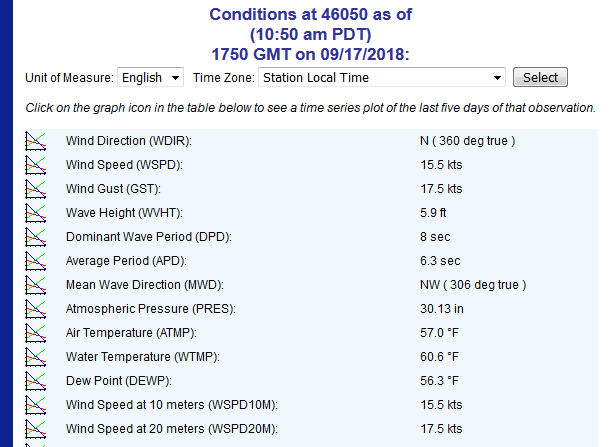 BTW what is the average water temp on the Oregon Coast this time of year?